Glenn the geek has been podcasting since 2008 on the Horse Radio Network. He does it full time. He grew his audience by reaching out to leaders in his field and partnering with them. He has a background in sales, and found the right sponsors for his shows. He embraces his audience, and knows that if you want people to listen you have to be entertaining. You might be thinking that if he is making a living from his podcast he must've had some huge podcast launching and rocked the top of the iTunes charts, and lived in New and Noteworthy. While that may be true, Glenn wouldn't know. You see, Glenn focuses on his audience. He focuses on making great content that entertains and educates. It wasn't until recently that he even knew to ask for reviews. He did it the old fashioned way. He earned their trust, and never lets his audience down. Consequently, they don't let him down. As a salesmen, he has made more money in the past. However, he is now making a living and having more fun talking about a topic he is addicted to (horses) and loving every minute of it. 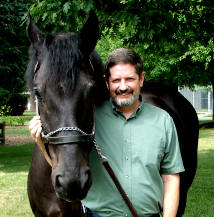 Today get a pencil ready as we interview America's Favorite Horse Husband Glenn the Geek from Horse Radio Network. Rob Walch was interviewed on Podcast Junkies on the Truth about Podcast Numbers (the stats start at the 52 minute mark). Glenn started with ONE podcast. Glenn put all his efforts into this show. He started with ONE. He got a sponsor early even though he didn't have thousands of listeners. How? By finding an advertiser who was more interested in promoting their brand than delivering a coupon. Glenn gets his sponsors involved in his show. He uses them to answer questions from his listeners. This is a great way to promote the brand, make the brand look like an expert, without having a giant commercial. Glenn KNOWS HIS AUDIENCE. They are addicted to horses and aren't the most technical bunch. You will see on horseradionetwork.com that Glenn has step by step tutorials to help his audience learn how to listen (on every single type of device). If you know you're going to have a network, promote from episode 1 (even if the network doesn't exist). This way when it DOES exist people who catch your early shows will have the same branding (Glenn was following the model of Twit.tv). Glenn is not a horse expert, but he shares a passion for horses and he plays the role of “Average Horsemen” on the show. You don't need to be an expert to start a podcast. He used Blog Talk Radio but left due to poor audio quality (Blog Talk Radio just unveiled their upgraded service which now delivers CD quality and allows you to connect directly to the service without using a phone or skype). He now uses Call In Studio, and Mixlr to stream live. Glenn does use CPM for selling ads. He sells a flat rate per episode. He advises his sponsors to purchase three months of ads to start out (he prefers 6 months). Glenn used Big Contact to make a player that can be shared on other websites. Big Contact is no longer accepting submissions. You can do this using the Libsyn Player, the Player from Blubrry.com (under conntect), Podtrac.com, or you can make your own using Wimpy Player. Blubrry player (you can change the image if you need to tweak). Glenn only lets products he uses sponsor his show. The only thing you have is your integrity, and he knows his audience trusts him and he never loses sight of how he will lose in the long run if he sells out. Find companies that are already advertising in your space (like a magazine), find out how much they are spending (call to see how much it costs to advertise) and explain how you have their target audience, and that you can put their brand in front of them for less money. Glenn went to an exclusive trade show for horses and told them he wanted to be the official radio station for their conference. All he wanted was a booth. The first year he had to explain what a podcast was. Eight years later he has sponsors begging to be on his show. He get's great content. He gets access to places others don't (this is not an open conference), and he starts building relationships with future sponsors of his show. This is absolutely brilliant. The trade show gets free publicity, and Glenn gets access to sponsors and great content. By using his sponsors as experts, Glenn's audience gets to know the sponsor on a more personal level. It makes them human and increases sales. This is why 70% of Glenn's sponsors continue to advertise with him. Glenn built his podcast audience by connecting to people who shared his passion – not through gaming iTunes, or Spamming Twitter. (Amen brother!). Glenn sends a note to all of his guests with a pre-written note and a link to the show notes and a link to the mp3 file. Glenn spends around six hours on an episode from start to finish. The more your prepare the less you have to edit. While only a small portion of his audience listens live, he wants the show to feel live. To do live, you need to be prepared when the recording light goes on. While you may land a “big/famous” person on your show, often the best interviews and segments come from your audience. A “big” name may not have a ton of time to promote your show, and your audience is often at the places/events where your audience is – and deliver great content. In addition, your audience gets excited to be on their show and they tell other people about their appearance. I did a whole show on getting your audience involved. U2 appeared on the You talking U2 to me? Great episode and I am totally using the put the player on other people’s websites within a partner network! Great idea. With that being said don’t rule out the ability to add a Spreaker player widget to the website as an option too which is way easier and better aligned with branding then the other players mentioned and looks better visually in my opinion. Plus it has a heart, comment, and share option as well as episode list. Example of our spreaker player below. Dave – I had to share because of your podcast of Glen’s podcast I took action not two days after this episode hit and I know have a player and link to my show on another fan site in our niche. You can see the fan site at http://theblacklistnbc.com and on the right hand margin you will see the player and album art for TheBlacklist Exposed Podcast. Blog meets Podcast it is a marriage of new media! So thanks a ton for the idea and the motivation for implementing a pain free solution that is a win win for both sites. God Bless! Awesome work Troy. Keep it up. -Clammr on ! Great episode Dave. Very refreshing to hear a new name. Often get tired of hearing the same old 15 names on the same podcasts. Glenn had a ton more useful information than any of them. Great job interviewing him. Thanks Dave, Glen is probably the most relevant guest I have ever heard for our podcast. 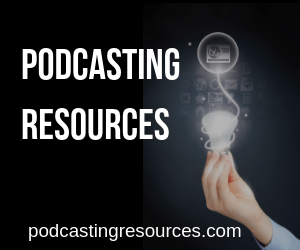 Podcasting to a niche is a real struggle, and to a niche that is non technical is another struggle. Half our battle is trying to teach people what a podcast is. Our audience are beekeepers. Going back now to listen to the show again. This time with pen and paper to write down some of those great takeaways.